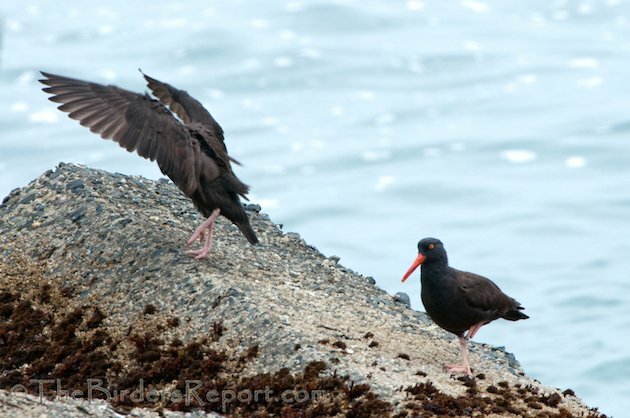 The Black Oystercatcher (Haematopus bachmani) can be found along the Pacific Coast of North America from Alaska to Baja California. Click on photos for full sized images. I found these two on the North Jetty at Humboldt Bay foraging and relaxing on the rocky outcroppings. They forage on these rocky shores where waves intermittently wash over the mussels causing them to gape more often and therefore giving the Oystercatchers more opportunity to capture them with a quick jab of that orange-red bill. They were fun to watch frolicking and stretching out on the rocks. Being interested in bird behavior and especially nesting birds, I found the video above really interesting. I hope you did too. The video footage was stunning. Thanks Laura, I wish it were mine!! Great photos and lovely video! 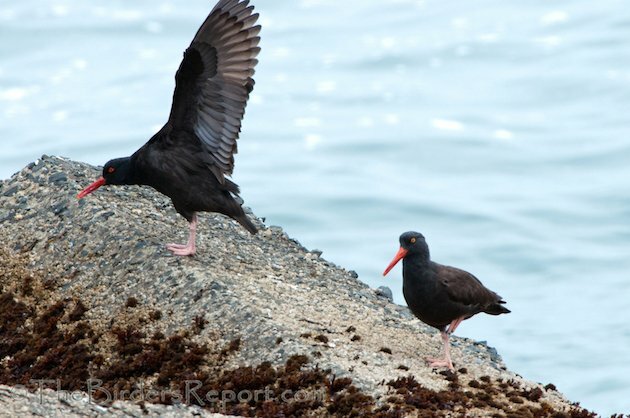 I love watching Black Oystercatchers here on the Olympic Peninsula. However, their nesting requirements are so specific, I’ve never had the chance to see them on nests until your video arrived. Thank you! Thanks Wendy. I really enjoy video footage of bird behavior so when I don’t have any of my own, I try to find something of quality on YouTube and this one blew me away! Great post! 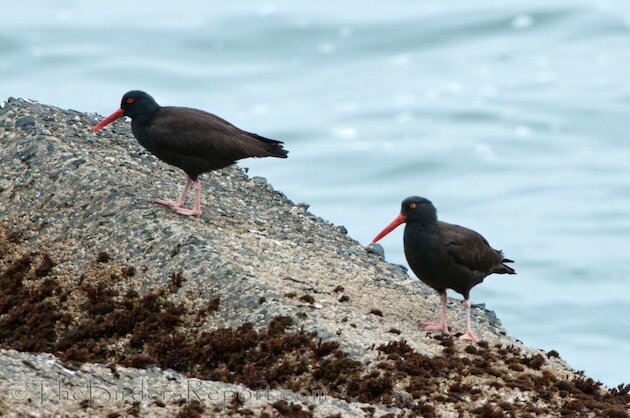 I really dig Black Oystercatchers every time I am on the west coast.